Welcome to Week #6 of the Wonderful Wednesday's Link-Up! This Link-Up is for anyone who would like to share how they are creatively teaching their children the various subjects, including fine arts, at home. All curriculum users are welcome! 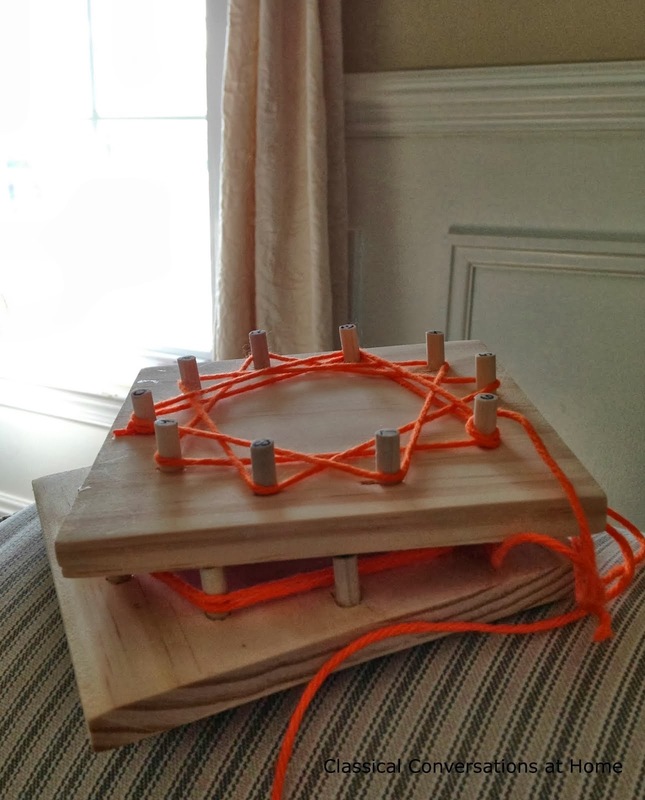 Classical Conversations at Home shared an awesome idea regarding a DIY skip counting board - check it out! Very cool! High Hill Homeschool shared an easy and creative idea for using Cuisenaire Rods to skip count. Check this idea out too! I'm always looking for creative and new ways to teach the skip counting for CC each year! These two blogger posts are great for changing it up a bit - so check them out! 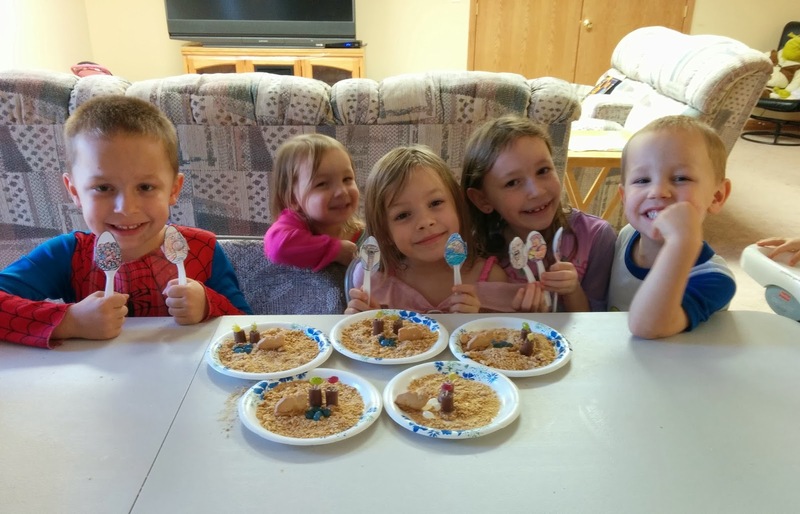 Our family featured submission this week is from Jessica! How fun does that look? If you have some fun family pictures doing subjects creatively - submit them below - we'd love to see them! Being creative can be something crafty or it can be something unique with your own hands on approach to teaching your children. Share it here! Let's put our creative genius together and inspire others to reach beyond the pencil at times! My goal isn't fun -but rather, to encourage our children to become life long learners and see the joy in learning because that is FUN! So mark your blogging calendars and plan to stop by each week and LINK-UP! NEW! If you aren't a blogger - no problem! You can still link up your fantastic creations by using your Flickr, Photobucket or other online photo sharing account. Just post your photo's URL from the account, by clicking on the "you are next - click here" button below! It can just be a cool picture of something your family made or a dress up your child did! We'd love to see (you can ignore the "blogger rules" below if you don't own a blog and aren't posting from it). Only the content need fit the appropriate posts. Can't wait to see! Link directly to that post using the URL, not the blog in general. Appropriate posts are things such as: educational crafts, experiments, fine art creations, unique field trips, posts on teaching creatively various subject matter, education themed dress up or re-enactments, dioramas or projects. State your post topic in the link description and pick a relevant thumb nail so your blog topic can be easily identified by viewers - DO NOT post links to your general blog name. Use the specific URL for that post you are wanting to share*. Please place the Wonderful Wednesday's button below, somewhere on your blog's webpage. Try to visit at least one link to show some blogger love and support to others. I am looking forward to seeing what you all are creating out there! 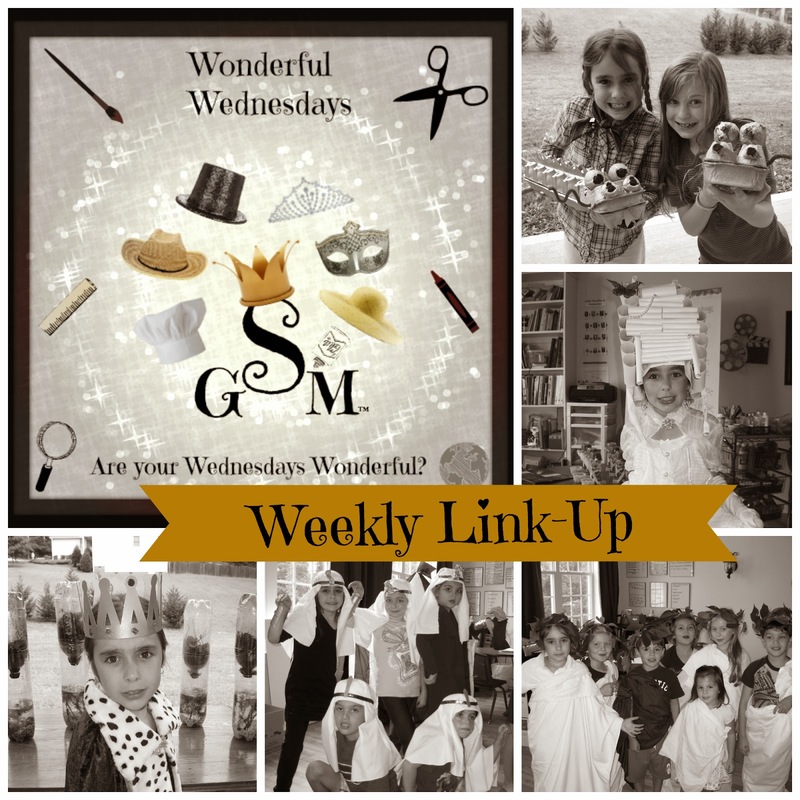 I would love to see any link ups that were inspired by a Wonderful Wednesday idea too - copy cats are very welcome!! !